The 2005 psychological thriller has been announced for Blu-ray in April. 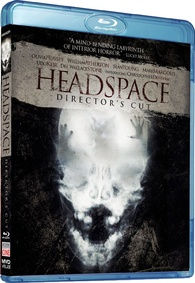 In an early announcement to retailers, Mvd Visual will bring the director's cut of 'Headspace' to Blu-ray on April 24. When Alex (Christopher Denham, 'Shutter Island') encounters a mysterious stranger, he begins to get smarter each day. It''s not long before he realizes that his new intellect comes with deadly side effects. Headaches and visions plague him at every step. Soon, savage unexplainable murders are linked to him. Now, it''s a race against time as Alex discovers that the source of this evil may not be human and the key to this mystery may be in his own past. His journey in this psychological horror is aided by: Olivia Hussey ('Stephen King''s IT'), Dee Wallace Stone ('Cujo'), Udo Kier ('Blade'), Sean Young ('Blade Runner'), William Atherton ('Ghostbusters'), Mark Margolis ('Black Swan'), Paul Sparks (HBO''s 'Boardwalk Empire'), and Pollyanna McIntosh ('The Woman'). Specs and supplements have yet to be announced, and suggested list price for the Blu-ray is $19.95. You can find the latest specs for 'Headspace' linked from our Blu-ray Release Schedule, where it's indexed under April 24.